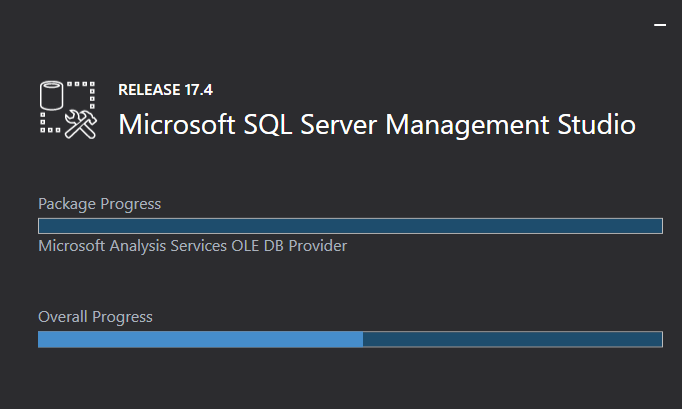 The SQLServer package has taken over from SQLPS. Basic backup and restore examples on my GitHub, and the data I used to create the tables (just create the databases by hand for now). 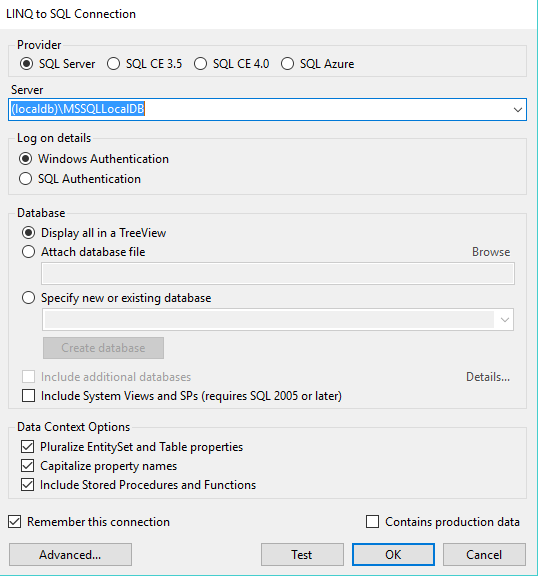 For my own playing, the combination of LocalDB and SSMS continues to be sufficient for me. 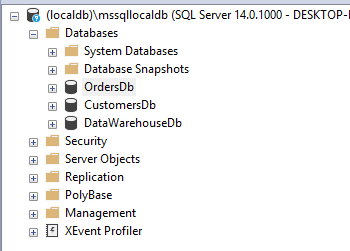 LocalDB is about 50MB, SSMS is about 800MB. 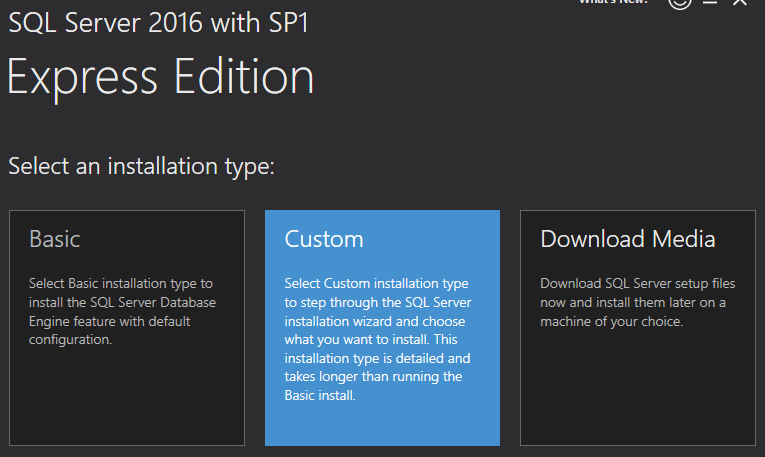 Location for SSMS download is here. (UK location any road). Pictures hopefully cover the rest. 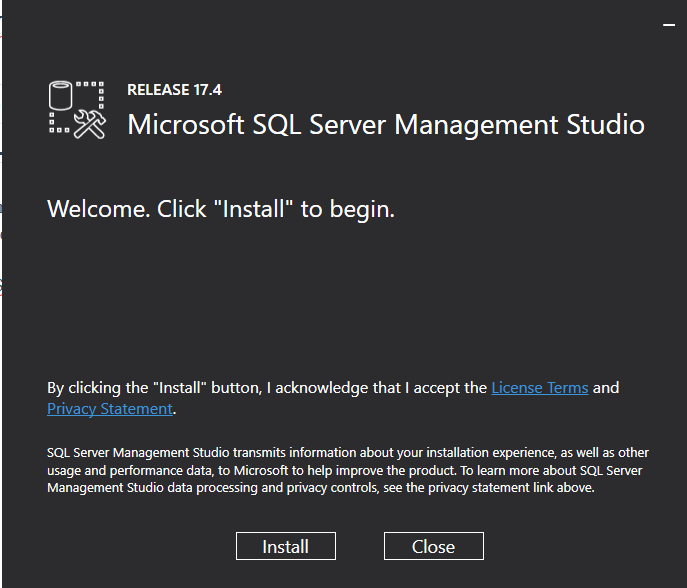 I see that a year back or so, we were at SSMS 17.0 RC1, and at that point or recommended for production use. Now on 17.4. 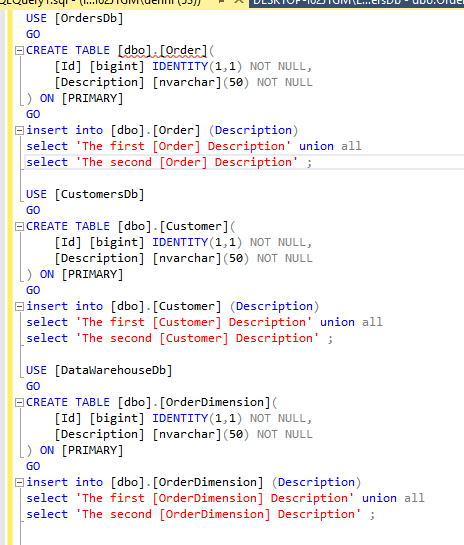 And as for LocalDB, well that is one of the SQLExpress variants. 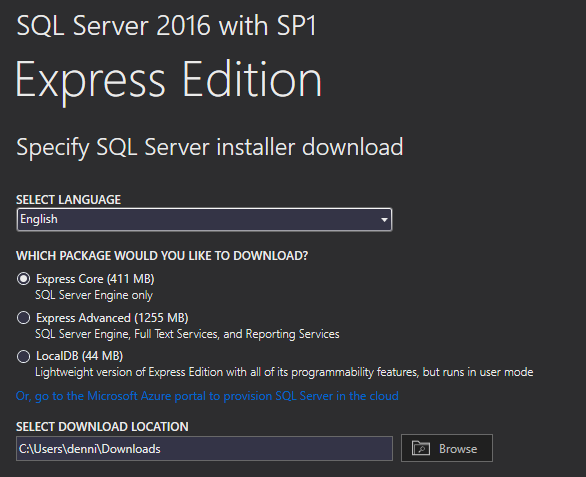 A year ago that was at SQLServer 2016 Express SP1. Now we are at SQL Server 2017. And every time I forget the server name for LocalDB. 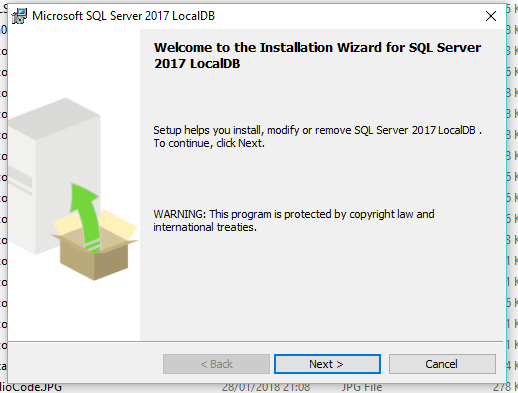 It is (LOCALDB)/MSSQLLocalDB. Here. 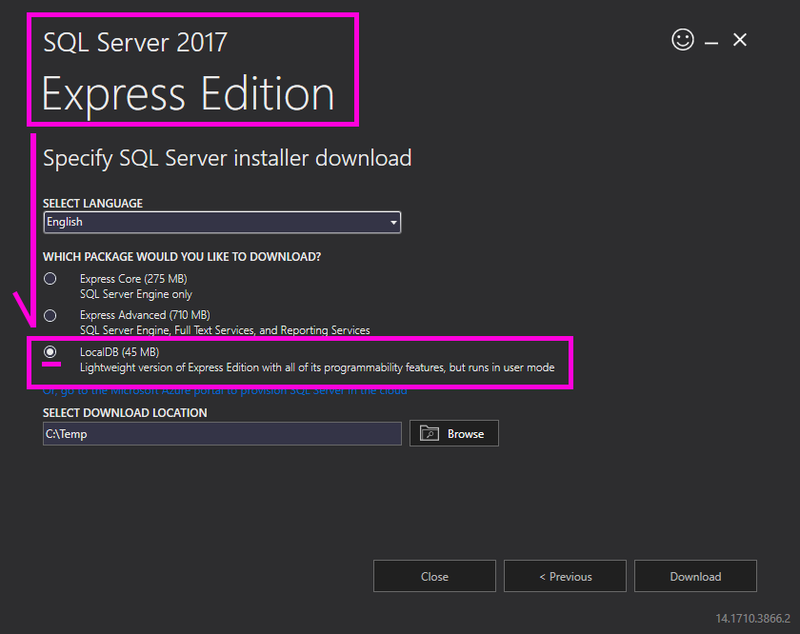 Also includes the option to install just LocalDb. See my post on that here. 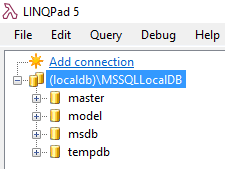 It also mentions Linqpad, which I recommend as a great way of discovering your database server connection details. And you still need to get the MASSIVE SSMS install, although Linqpad is a reasonable high level navigator. 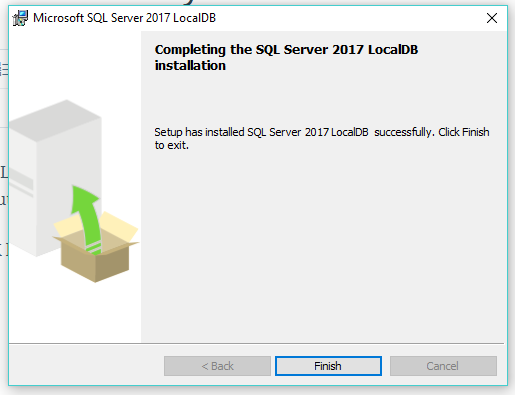 I wanted to create the smallest SQLServer database footprint I could… and thought that LocalDB might be the right way to go. 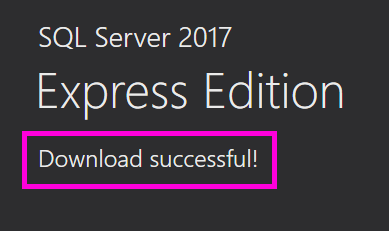 However it turns out (and I would like it if I was wrong) that on a bare-ish environment, you have to use to download and selectively install SQLServer Express… and the binaries for that are getting on for 1GB. 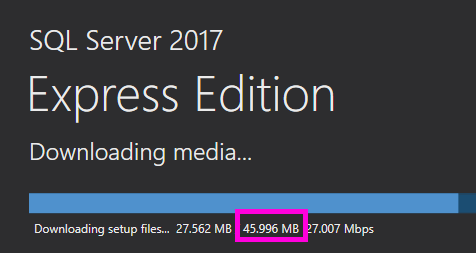 In fairness, these days SQLServer Express is pretty much full-fat SQLServer. But in the same way that CoreClr tries to give you what you want and no more, could SQLServer not follow that principle, at least? I could work out the minimum footprint I could get away with, having installed it… but I can’t be bothered – for all I know there might be a dependency on some registry. That would be for another time. Anyhow, why did I want it or any database this time around? So that I could have a play with the LinqPad examples. In fact, it turned out the LocalDB was identical… but the better part was the mere 44MB or so of a download, taking seconds rather than minutes. The installation still expands to 229 MB in Programs and Features, and that’s fine.